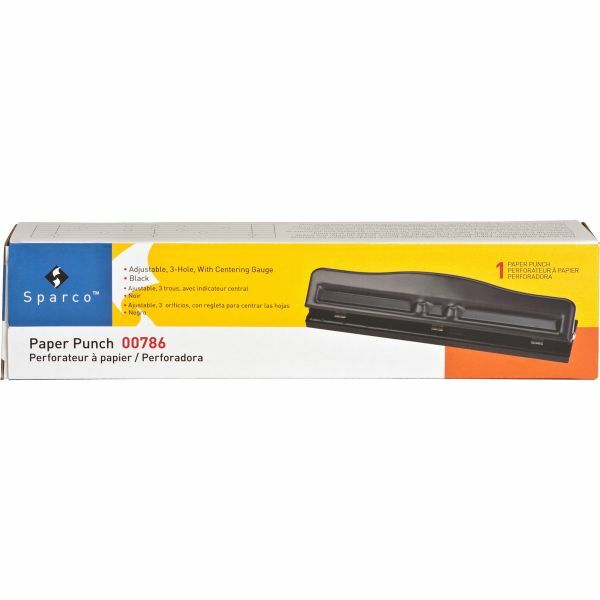 Sparco Heavy-Duty Three-Hole Punch - Three-hole punch features three adjustable punch heads. A neutral zone allows two-hole or three-hole capability. Punches up to eight sheets of 20 lb. paper or 10 sheets of 16 lb. paper. Three-hole punch offers an adjustable center and all-metal construction.